Wondering whether or not Yeti is made in the USA? Well, you're in the right place. In recent years, Yeti has built up quite a following of outdoorsy people that like high quality products. Recently, their sales have taken off and have even tripled in just last year alone! Many people swear by their coolers and drink cups. Personally, we love Yeti and use there cups, coolers, and products all the time. Rarely can competitors compare to the level of quality and skill in craftsmanship that Yeti accomplishes on all of their products. Yeti has really built up a loyal cult-like following in recent years and it is not very often that a week goes by without seeing many Yeti bumper stickers, hats, T-shirts and so on. However, despite their top quality products, some people have taken exception to them. Although an American company founded by two Texan brothers, they have received some negative pushback as not all their products are manufactured in the USA. Are Yeti Coolers Made in the USA? Here's a question we get asked often, "Is Yeti Made in USA???" or "Where is Yeti Coolers made?" Our Tundra coolers are manufactured in the USA at facilities located in Iowa and Wisconsin as well as at a facility located in the Philippines. Our Hopper coolers and Rambler drinkware are manufactured in China. So it’s clear that a lot of their operations are here in the United States and they truly only outsource the parts and operations that are absolutely necessary overseas. After asking around further, I have found that the quality concerns are another reason they manufacturer partly overseas as they want to make sure to have the absolute best products at an affordable price point. Like many companies, it is more cost effective and in some cases even better quality when you outsource manufacturing overseas. Likely this is the case here. 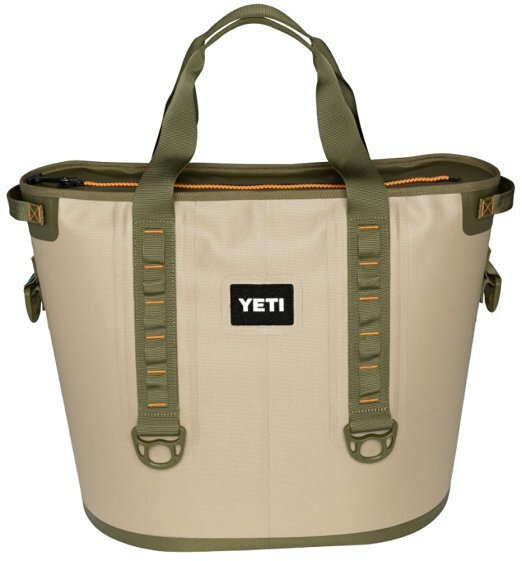 Below are a list of the Best Yeti Coolers in 2018. Still, some people might be a little put off by an American company manufacturing part of their operations overseas. For those neighsayers out their, I present a couple other options for you. Here’s a couple other great options out there for those that want a superb cooler manufactured in the US of A. If you like the quality of Yeti, we have no doubt you will also love these two brands just as much! One of Yeti’s staunchest of competitors is Pelican. Like Yeti, they deliver some fantastic coolers with top of the line materials. They have over 40 years of manufacturing experience and have developed a superb reputation. With headquarters located in sunny Torrance, California they have manufacturing facilities all around the United States. Recently, in 2012, they introduced a staple of their cooler line, the Pelican ProGear Elite with “tough-as-nails” materials to compete with the Yeti Tundra and other premium brands. They also deliver excellent products and have really emerged as a top of the line brand neck and neck with Yeti in the cooler market. We particularly like their Pelican Elite Wheeled Cooler which won our best wheeled cooler in our recent review. These guys are grizzly bear tested and approved. No joke, they actually have a IGBC bear resistant ﻿﻿testi﻿ng p﻿﻿rocess. They also go in a 90-degree climate controlled testing process to ensure their coolers hold up and retain ice for days in the most extreme of conditions. We have found their ice retention to be fantastic. Whether you are out in really hot weather or the frigid cold, you will like how well these coolers hold up over time. Grizzly, like Pelican, are also 100% manufactured and made in the United States. You can rest assured that you are buying a fully American made product when you invest in one of Grizzly’s excellent rotomolded coolers. What’s the Best Cooler Manufacturer? Ultimately, you have to go with your gut. There is not a ton of separation in quality from Yeti to Pelican to Grizzly. They all spend a lot of time in the manufacturing process and only use top of the line materials. You will not be disappointed no matter which direction you go. Personally, we love the look and feel of the Yeti coolers most and we know that they as a company are doing great things and building a fantastic brand. But if you are concerned about where Yeti coolers are made, we have no doubt you will like some of our other top options that we laid out above from Pelican to Grizzly. All three companies take a lot of time into ensuring perfection on each cooler that gets manufactured. Still not sure what direction to take? We put together an in depth article showing exactly how we selected the top ice chests above. Check out our in depth article on the best coolers on the market today!